Kodi has a lot of options available in the settings screen, but there’s no way currently to change the cache size. So, are we just going to have to live with stuttering videos and annoying Kodi buffering issues? So, stick around and I’ll tell you about the advancedsettings.xml file and how to modify the Kodi cache. Don’t worry about making any mistakes along the way. You can always reset Kodi and start from scratch if you like. 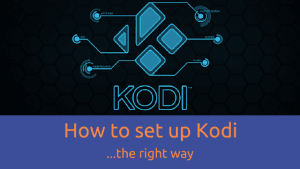 BONUS: I’ve come out with my largest ever guide on How to set up Kodi the right way. Check it out here or using the image below! Even if you’ve never heard the term “cache” before, that’s OK. You’re probably using it every day without even knowing it. Cache is any temporary data that is stored on a device so that it can get the data faster than you, the end user, can consume it. That way any interruptions in transmission quality or network speed won’t bring your video to a screeching halt. Video cache is exactly what it sounds like: cache used for playing back videos streaming from the Internet or somewhere else on your local network. Kodi will use system RAM in order to store (or buffer) a few seconds of the file. Since system RAM is the fastest type of storage available on just about any computer system, this is going to be your best performance option. Remember, Kodi is an open-source project that started out as a media center that would only work on a modified Xbox. Tweaking has been part of Kodi\XBMC’s DNA since the very beginning. Any XML (or HTML) file will always have an opening and closing tag for everything. Think of those tags as “framing” the important stuff – just like a picture frame. If you leave off one side of a picture frame, then the important stuff (the picture) winds up on the floor next to your cat. Its the same with XML\HTML tags, only without the cat. They usually don’t like programming. 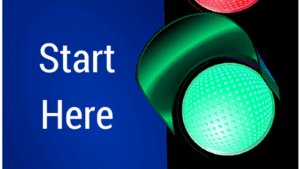 Get up to speed quickly with my Getting Started with TV boxes resource page. Check it out here or using the image below! Let me be clear up front, this is a brief look at the settings you can change in the advancedsettings.xml file. There are dozens of settings you can change to tweak your Kodi experience. 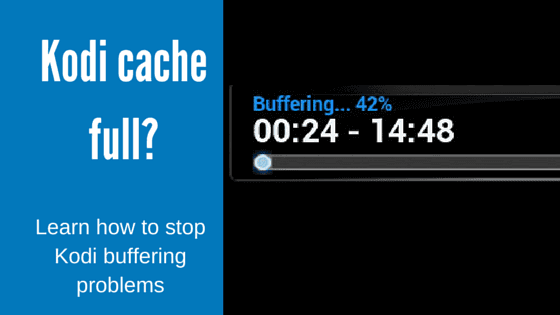 We’re only looking at a few which are directly related to Kodi buffering problems. If you want the complete list, please check out the Kodi Wiki page devoted to the advancedsettings.xml file. Once you get started tweaking settings, you may find a number of other things that you could improve to really make your Kodi setup the best it can be. It can be fun! The setting value is a multiplier of the default limit. Kodi looks at the average speed that the video will play at. Higher resolution\bitrate videos will stream at a higher speed. These settings should work for the majority of HTPC\Android TV box users out there, but feel free to modify them if you feel you need to. Now that you’ve got the file (with the correct extension), you’ll need to place it in your Kodi userdata folder on your device. Hopefully this give you a better idea of what the advancedsettings.xml file is and how it can help you with Kodi cache and general buffering problems. For answers to other popular streaming device questions, check out our FAQ section! Have you tried something similar? What settings worked for you? Let us know in the comments below! New to the Kodi world. I have been using or trying to use kodi for three weeks. I bought a MXQ on eBay. Now I am trying to decide what box I am going to buy next. The MSQ works great, but I think I will be happier with a more powerful and faster box. What does the word skins mean, reguarding kodi? This is a great form for information. Hi Steve. A Skin is just a different look and feel for Kodi. Checkout my Kodi Setup guide. There’s a whole section on the official skins that come with Kodi. In just about everything, I prefer functionality over cosmetic. Several weeks ago, I tried one of the other skins. Although I liked what I saw, I found that not only the look had changed, but how Kodi navigates. So to expect the change to be just how it looks, it changed the way you get from point A to point B. This was a little sticker shock for me, and I was relieved to find my way back to “default”. But as sure as I write this, I know in my heart of hearts, that as time goes by and I become more confident, I’ll return to the skin choice setting again to take on the challenge. After all, that’s what this experience is all about. What can be easily understood by others is often intrigue to me…lol. Love avenues for discussion on topics of interest among users. Platform is much appreciated. I am confused I’m not a computer Wiz here can someone help me with this ??? Hi I am a bit of a noob too. I have kodi installed onto my computer. I have 8gb of ram so what would be my readbuffer size? Also once I put this into my easy advance settings. Do I also need to make an easy advance settings within my pc aswell if not then I know what to do I just can’t work out the readbuffer size properly. Thank you for taking the time to write out these tutorials and answering questions. I apologize if you have posted these answers before but I just recently cut the cord and have started learning the KODI system. I have done everything you have shown here. It has definitely helped with streaming of files seldom do I have a buffering problem. Most times it is fixed with a reboot of the modem/router. I normally achieve speeds of over 250mbs down and close to 40 up and was wondering if there were setting to go with a faster connection that would help with the live feeds? Can I use a cheap thumb drive, set cache to zero and direct temp, audio and other files I don’t need to keep, thus saving my SSD? Great article! I just have difficulty understanding on how to store and install the file. Could you elaborate that further? Great article and very simple to understand. However I’m not seeing a difference. I’ve verified the XML file is in use, and when it’s not, and still don’t see a buffering difference. Any other suggestions? I am having the same problem. I completed all tasks and still have buffering problems. Hi Bob. If you’ve changed the Kodi settings as instructed, it’s possible that the issue has more to with the streaming source than your TV box. Buffering fixed un kodi jarvis. Having a minix x8, i tried to fix TVE taylored xbmc version …. no succes. I did this last night, I don’t know if this make sense, I compare the settings over here over the kodi wiki how to, and find that on the kodi wiki, the values don’t have space, I followed kodi wiki and removed the space between values, and then I clear the cache on my exodus addon and the cache on kodi app, reboot my android TV, and when I watched a movie it buffers one time after that the movie plays smoothly, thank you for this solution. Very detailed article until it got to the most important part, “How to install the advancedsettings.xml file”. Then almost no information on how to actually do this? Unfortunately this caused Kodi to crash every time I tried to open it. Please elaborate on this section! I appreciate the explanations of what everything is but what I really need is instructions on how to do this. I would also appreciate it, im having a hard time following. Sorry, but the article seems helpful! Assuming you have the Add On installer installed, go to programs, click on Add On Installer, fine the Easy advanced settings add on, click on it and install it. Go back to home screen, click on video add ons, click on easy advanced settings and then click on network, then click on network settings. There you will see the cachemember buffer, curltimeout, ect settings. Enter the credentials Tim has stated above. After all datat has been entered, click the back arrow until you reach the menu where it has “write XML file”. Click on it and wait for the notification in the bottom right corner. That’s it. All done. Hope this helps. I cannot find the easy advanced settings it doesn’t show up in the installer. So don’t know how to do this. Is there a video showing how to set this up step by step? I was wondering if you delete the file that is currently IN the userdata folder? I have one in there that is RssFeeds. Also, I enabled “zero cache” with the advanced settings. Do I change that or does this new entry in userdata overwrite that? If you currently have an advancedsettings.xml that’s already in your userdata, don’t overwrite it. Take a look at the settings in that file and modify them using the tips in this article. I do not have an advancedsettings.xml in my user data folder and yes the files/folders are unhidden. Trying to use the supplied remote to create and edit an .xml file, well I give up lol!! If there isn’t enogh bandwith on the network or the servers/add ons are overloaded as Genesis is fast becoming then no change in cahce size will help. I get between 7>10mbps on ADSL2+ over my phone line and it’s ALWAYS enough for streaming 720p with my NowTV box. Still love the Kodi software but with an ever increasing number of users I can’t see this problem ever being resolved, unless….. there is a box out there with 4GB of RAM and you wait half hour prior to starting the video. 🙂 Happy viewing campers. Excellent write-up! Thanks so much for this guide. A huge help in resolving some playback issues I was experiencing! Thank you for the comment, Carl. I’m glad I could help! I figured out why starwars won’t play on the android box. The movies are made at a faster frame rate. Thus, it plays faster then the streaming alows. Go figure.! 4. Click save as name is “advancedsettings.xml” (no quotes) click the save as type: drop down to All files (*. *) & make sure to save the file to a place you can easily find it. 6. If you don’t see a advancedsettings.xml file there now u can just drag and drop the one you just created, if there is one already there make sure it looks like the once in this tutorial. You’re going to need a proper file viewer. I recommend ASTRO File Manager. Inside ASTRO, once you have your xml file ready, go down to Android/data/org.xbmc.kodi/files . Stop here. In the top right corner of your ASTRO screen there will be a Magnifying glass, a funel, and 3 dots. Click the 3 dots –> View Settings –> Advanced –> Check the “Show hidden files”. You will now be able to see the next subfolders. NOTE: you will have to do this each time you start up ASTRO if you ever want to go back to those hidden folders. The alternative is to root your android device. Thanks for the tip, Adam. I wasn’t aware that some M8 boxes included a custom settings editor. Thanks Adam – such a simple fix and now no more buffering. Where do you go to get to Maintenance Tools? Is this on our TV settings or the Firebox, Kodi settings? Actually, that is a separate addon that Adam was talking about. Works great! Thanks a whole lot. The best answer to my buffering problem. Really works. Thanks again! very well written! Absolutely. There are a lot of settings that you can change in the advancedsettings.xml. If you already have a file and want to keep it, you can tweak that existing file until it works the way you want it to. As far as editing the file on your device, that should work, as long as you have an app which will let your edit XML files. I put the advancexml file inside the files.folder but i dont know if its.doing the job. Yes, this was very nicely written. Those of us daunted by screwing with programing files could easily learn a lot from easily-understandable explanations such as this. I was wondering could anyone recommend an Android box, etc. that I could use for my living room? My connection is quite fast, however, I believe the Fire stick that I have been using, predominantly in the cave, just doesn’t have the storage or ram I need for a more streamlined experience. I’d like to get my family to start chippin’ away at that cord, but it’s not gonna happen with my current setup. Hi Greg. Thank you for the kind words. As for your question about recommending an Android box….I think I have a few recommendations. Great article, thanks! 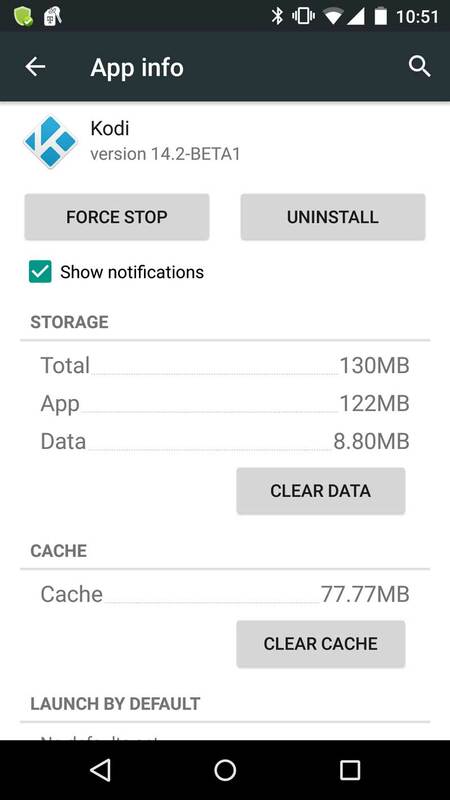 One question, if you use the zero cache option where does it store the file? I have Kodi stored on my Windows C: drive, which is a flash drive, if I instead install Kodi on a local Hard Drive will it store the cached files on the same drive? I have a Linux machine setup by a 3rd party. They have tried to assist with the buffering problem and always blame my internet, which is a 40mb line. My problem is that I do not know how to work in Linux, can anybody assist? I have been playing with Linux for awhile, if problem persists, what’s the error you get? Even in Linux your system is only as fast as it’s slowest part. also, which Version & Number? If there a way to move or make the system read/write the cache memory to a external sdcard or external storage? I am trying to find the command to tell Kodi (Isengard) to use an ext SD card as cache instead of onboard. great stuff looking forward to reading more. Thanks so much for this article, we were having difficulty streaming a few videos that we were trying to watch after our Thanksgiving dinner – in particular Home Alone 1 & 2… my wife’s FAVORITE Christmas movies. This definitely helped, appreciate it! So the higher value for 400mb, can I raise it for my PC or should that be.more than enough? I am currently rebooting my laptop and can’t wait to see the improvements. Thank you and everyone else who added extra tips. I am still experiencing buffering but it is noticeably improved and kodi seems to be running smoother too. What is recommended to experience no buffering like others? Higher setting in the advancedsettings.xml file? Hi, I feel kind of stupid to ask this question. How can I copy the advancedsettings.xml from my windows pc to the right folder on the cood-e tv ? Accessing the cood-e tv from my pc’s webbrowser http://10.0.0.33:8080/ does not show any file structure. Sorry, Android is new for me. Thanks in advance. You’re an absolute star, worked a treat. Amazed even I could do this, you should write these for a living! Thanks also to the follow on comments who also helped to figure it out. Clear instructions and a fix that worked. Hi there Tim – thank you for a very informative and comprehensive explanation of what to me is an alien concept! I’ve been suffering with ‘Cache Full’ and buffering quite a bit despite trying my best to ensure that the network is tickety boo (I’ve put Powerline Adaptors in to help) so I’ve done some digging on Google and it lead me to this excellent page. I have a couple of points which I need some help on though, and these appear to be at a very basic level I’m afraid. Android/data/org.xbmc.kodi/files/.kodi/userdata/ in order to edit the ‘advancedsettings.xml’ file. However, I cannot see ‘advanced editing’ in System Tweaks – where do I get that from please? I’m sorry if this is very basic questioning but I’m an android/kodi newbie and am really struggling! Any assistance from anyone would be greatly appreciated. If anyone knows of a resource where I can learn Kodi and its setup from scratch it would be a great help. Then, cachemembuffersize, buffermode, and readbufferfactor are the last three on the list. Hope this gets you viewing again! Tim – Thanks for the article. Very well written. I do have a technical background and can handle the creation and placement of the file. I am running Kodi on a Macbook Pro with 16GB of RAM. I have checked for the the Userdata location, but, I am unable to locate it on my Macbook. Should I create the folders and file my self and launch Kodi? Hi Mohsin. Thanks for the comment! I have to admit, I’m not a Mac user, so I’m probably not the best person to answer this question. I did do a little digging though. It appears that the Mac OS 10.7 and higher hides the user folders by default. There’s a link on the Kodi Wiki here which may help you access them. Hi, how do I edit this on the fire tv stick? Great article! Although, why do you recommend only 150 MB for a device with a lot of memory? Why not more? I have an Asus Chromebox with 8 GB of RAM, I would like my cache to be large enough to buffer an entire SD movie or most of an HD movie onto the RAM. Buffering remains a problem for very high quality MKV files on KODI on Fire TV. I tried: so many different settings. I does not seem to fix the problem. I stream it directly from a time capsule over UTP cable. On kodi 15.2 / M8S. I followed the instructions and it screwed up my kodi screen. I restored a backup + also removed the XML file but not juice. I think I need to delete kodi and install again. The screen colours are strange and some text unreadable. I know the XML file should not have touched those and I could not have typed in something wrong as I brought the file down from this site, but I was left with the mess irrespectively. Adding the advancedsettings.xml and then removing it would reverse any changes it made, if that was the reason why your display went crazy. I’d say that’s either not the problem, or you have somehow corrupted the installation of Kodi. I’d completely remove it and reinstall it. Also, make sure you’ve turned off any add-ons. A rogue addon could be messing it up too. That’s a good point. I suspect that rogue addon was the cause. I reinstalled Kodi and loaded a backup and all is well now. I will try it again later on and switch off all the addons first. I re-installed and the settings file and now it all seems fine. Initial impressions are that the settings file has improved the buffering problems. Tnxz fixed the problem I had on my Raspberry Pi 2 running osmc! This is a great article. I am sure many will appreciate the knowledge. Thanks for the hard work in putting this info together. Hi Bill. You’re welcome! Thanks for your comment. I just created the folders that were missing, will this work? Do you got other tweaks that improves playback of streams or general improvements? Its handy to get caches, temp files on a external hdd. Wich some of my add-ons are now asigned to. Getting all kodi systemfiles and database on a external drive, would be over the top. Is this possible? And what about tweaks on pvr? I think i going to slightly increase bufferspace. And see if streams run more smoothly. I’m really confused by this whole buffering issue. I’ve got kodi set up on various devices. 15.0 on my PC which works flawlessly. 15.2 on my Kindle Fire which is OK but buffers or stops occassinally, but my most used device, an mx3 box with 2GB of ram, really struggles using any version. I use a “premium” sports service which works 100% of the time on my PC. On the mx3 most HD streams buffer every 10 seconds or so. SD streams are completely fine. I’ve tried all sorts of settings (including those listed here) and it’s the same problem. – I’ve tried completely clean installs with no other add ons. – I’ve tried using exactly the same version and set up as the laptop. – I’ve tried a vpn but again that makes no sense as the laptop is fine without it. It’s almost like the mx3 box can’t handle it. But surely it can right? Other observations with the mx3 box. Occasionally HD streams start and then go into slow motion before eventually stopping. Occasionally (on 15.2) I get ghosting on the screen. One more thing which might help. This is IPTV I’m watching live, but a premium Service. I know it’s not the service causing these issues because the PC laptop is fine with it. Boris…How old is your MX Box? Considering new MX Box as I have a friend who is not suffering buffering!! Great article only found one flaw with your thinking on one issue. When you talk about no using zero cache. From an electrical/electronics engineering stand point your view of burn out is totally flawed. 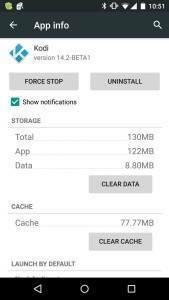 For those who tend to watch a movie etc all the way through By setting to zero cache when using flash memory you are increasing the life span of flash. To limit the amount of flash being used in a smaller zone is causing more read writes for that flash zone forcing the life cycle sooner. And sadly with flash you get one spot dead anywhere then all the flash becomes un usable as it is no longer able to index locations. Thus by having zero cache active you are taken the stress off the limited flash memory zone that would not only hold the beginning of the movies etc.. but chucks of the middle and ending thus forcing read writes 3,4 or more times in such a smaller memory zone. Causing flash burnout sooner. Zero buffering is a better solution for those who watch movies all the way through and those who listen to a lot of music in one sitting. That would seem to make sense, but it does’t. With cache on it is not using the SSD at all, but the internal memory. So zero cache= use HDD/SSD, cache on = RAM. I was able to change settings but my issue remains? Also it only happens when playing videos through Genesis Addon. I can play fine using 1Channel addon. Is there some way to fix Genesis issue here?? I am also using an external 16gb sd card. Hi. I’m trying to install these prompts on my android phone. What would be the path that I need to take to accomplish this? Great article, helped me ALOT and my buffering problems on my Cubox are finally over! Thank you very much!!! Very useful. I actually used the Easy Advanced Settings Add On for Kodi which semi guided some of the changes. I note that most of the people who had success appear to be using laptops or PCs. I have a little Android Entertainment box with basically the same quad processor as an Android phone. I believe the RAM is 1 GB and as bought storage is 8 Gb. I can add an SD card. The changes appear to have made no difference. On some sources I can see the program loading in the buffer as a gray bar shows progress. In another the buffering is at around 1 or 2% then I get the Cache Full message and can’t support continuous streaming. The movie freezes then picks up maybe 30 seconds later. This happens every few minutes. In this case I don’t see the gray progress bar. So I don’t know if it’s a source issue or a cache/buffering issue. My working theory is the second so I was interested in the comment from Scott. Since my drive is solid state I’m wondering if I can set zero cache or do I then get into the finite flash issues. I believe the first source may be a lower definition than the second. It’s an older TV series and the second is a recent movie. Really useful and explanation on every setting. Thank you. WOW Thank you so much, this has made such a big difference on my Sony TV. I can watch 1080HD now with no buffering at all. Im so Happy – Thanks Again!!! Thank you SOOOOOOOOO much! I have tried so many different specific settings, been googling help for kodi buffering problems for days and this one article helped me get it fixed. I have over 300,000 MB available so I went with a wild card number of 398725400 for my cachemembuffersize and 25 for my readbufferfactor. Maybe that seems crazy to you awesome techno guys, but it is working for me. Before, I was getting absolutely NO sound with my blipping picture. You guys are AWESOME!!!! Thnx on the brilliant article. My buffering finally stopped. I tried testing it with direct channels since those are the ones that will normally annoyingly keep buffering n buffering. Just edited the settings n never needed to write xml file at all. The system just automatically saved it. I confirmed by viewing the active advance settings column n there they were already. Rebooted n it showed me on main screen that the settings are applied. Thanks a lot mate. Definitely coming around as often as possible. Anyone can help I’m setting it up now. Did a fresh start last night, got a build n just need the alright settings. Any suggestions thanks guys…….. Thank you so much for this!!!! Easy fix has me streaming flawlessly!! Dude, thanks so much for the great info, I’m a new android user and an old PC guy, so I have had a hard time finding some good info until I came here. To say android is a different world is an understatement at best. Although I have made great strides in figuring my box out on my own, in just the last few minutes here I’ve learned more that I did muddling my way alone the last few months. I have been able to reset and reload Kodi when needed but it took awhile, of course like most things repetition and a little help from a more knowledgeable person like you goes a long way in making life easier. So I wanna thank you for your hard work in passing on this info, and I really appreciate very much. Hi Mike. Thank you for the comment. I’m a former PC guy myself, so I’m glad I could help! Quick question. Why not use the readbuffer setting at and just forget about it? I own an Amazon Fire Stick TV, and I’m not sure which value for cachemembuffersize to use. I’ve read several values over the internet. Right now I’m using 157286400, but I’m not sure that’s the right one. Clearing the cache on Kodi you said to go to settings and then to select apps. When I tried to follow your directions it has nothing that said apps. System > Settings > just takes me to the page where settings are. At the top Appearance and bottoms reads System. None say apps ? Very nice, thank you! One thing though; 50 Mb x 1.5 does not equal 150 Mb, that would be 75 Mb, correct? Wow this fixed it for me, thanks so much! I had constant buffering. I did the whole thing from my iPad, didn’t even get off couch (I’m real lazy). Used ES file explorer to created the XML file (name above) in the folder (have to “enable hidden files” to see .kodi) and copy/pasted the XML shown above using the free Android tv iOS app. Works perfectly now. Hey Tim! Thanks for a great guide. I’m new to KODI (and Android) and have been searching high and low for a fix to my buffer/stutter issues. From the looks of the comment section here it looks like this works like a charm. I’ve got a Xiaomi Mi Box 3, the Chinese version. Amlogic S905 Cortex-A53 64-bit 2.0GHz processor, Mali-450 750MHz GPU, 1GB DDR3 RAM and 4GB internal memory. Running Kodi 16 on Android 5.0. What advanced settings would you recommend me using for that setup? Ok, I am having an impossible time with this. How exactly to I drop this in my userdata folder, and then change it to xml?? I just did all of this on my Android tablet and now I am unable to even get a video to load. I click on a mirror and it says working, and then it does nothing. Any ideas? Whoa – copied the file into notepad, saved to the kodi userdata file with the proper extention, reopened kodi, and it seems to have done the trick. I realize all the users on this are back almost a year – however, it still seems to work. Thank you. If there are any problems, I will check back in and share with the community. Hi Jeff. I haven’t tried it personally on an Android box. Windows, sure. Android may be a different beast entirely. My gut feeling is yes, but it probably won’t have the benefit you think it will. In most of these devices, the USB stick has a much slower bus speed than the internal memory. That may actually end up slowing down the video transfer speeds, rather than speeding them up. Again…that’s just my gut feeling. Does anyone have any hands-on experience with using a flash drive for extra memory on an Android box? Hi, it would be very helpful if someone could tell us how to change the cache file location to a usb hard drive or even better to a shared location on the local network. Lots of people are running some kind of NAS/file server so this would be a very good solution. Update: Been almost a month, and most of the buffering issues have been taken care of – sometimes there is a problem, but I think that has to do with stream/provider availability. Thanks a ton for the tips. The Maintenance tool add-on approach worked beautifully for me. I was about ready to throw a brick through the screen if I saw “buffering” one more time. Will this change the layout of the actual code, or can you just replace the old with the new words? Thanks very much. Copied and pasted advancedsettings.xml into my TX5 and it is now working properly. I was about to get rid of it. This didn’t change any buffering behavior of Kodi at all for me…. I believe the article is incorrect according to Kodi Wiki, there are changes to the names of the advance settings ion the file that have not been changed or included in the article. This article should be updated or it should be made clear that it is for Jarvis and not Krypton. Thanks you for the good article. I see “What”, “Speed” and “How much”. But where is the “Where”? I would like to cache the whole files, and following the concern of limited storage lifetime, do it on external memory. What if you have a flash drive (C:) but would rather use a large regular hard drive (D:) for the buffering data? Can this be done in order to avoid killing the flash drive with a large buffer size? If so, how?